This notice is to let residents know that Sage are once again planning a short fun run which will benefit local charities. The fun run will take place on the morning of Saturday 15 September, starting from Sage Head Quarters at 9:15am. 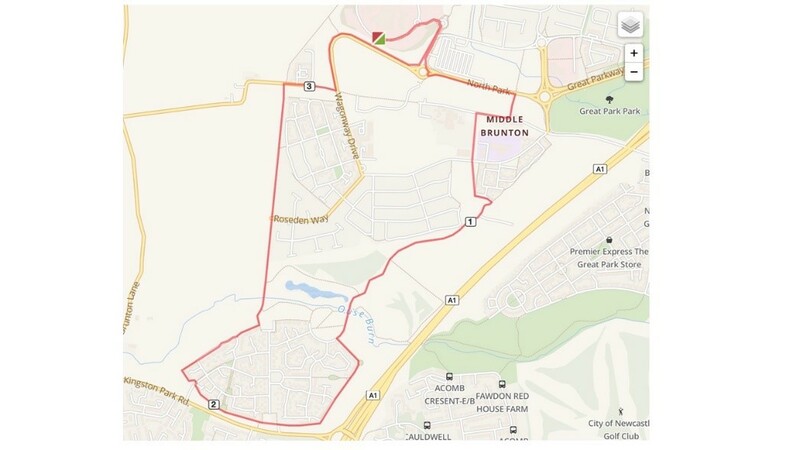 The course, shown below, incorporates a series of routes around the Great Park and a short section of Brunton Lane and Great Parkway. To comply with Health & Safety regulations this will require the following temporary road closures: Great Parkway between Sir Bobby Robson Way to Wagonway Drive from 09.15-09.30, Brunton Lane (East) between Wagonway Drive to Roseden Way between 09.15-10.00 and Brunton Lane (West) between Hawthorn Grange to Wagonway Drive from 09.15-10.15.